Fantastic opportunity for owner-occupier or investor in a well-established west Simi Valley neighborhood near Sinaloa Middle School. 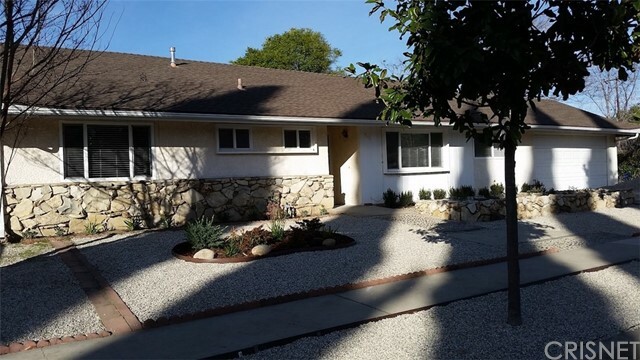 The property is currently occupied by excellent tenants with a stellar rental history, so the owner will have immediate income until the expiration of the lease on 7/31/19. Brand new HVAC; electrical panel; windows; window coverings; garage door; drought-tolerant front landscaping and drip system; dishwasher; and kitchen sink, faucet & garbage disposal, were installed in 2017, and the kitchen and laundry plumbing were re-routed this year. The house is well-situated on a large corner lot with plenty of room to build an Accessory Dwelling Unit (ADU) and the City has given permission to add a second driveway cut on El Monte Drive for accessing the ADU or RV parking. The listing agent is a co-owner and licensed California real estate broker. NOTE: All photos were taken prior to current tenants taking possession.